So I’m wondering how many of you read the titles to each entry and of those who read them, wonder how it will tie into the entry. I must say that when I went to the new format for the site and thus the new format for the journal, the idea of having a title for each entry was a little frightening. After all, that is around 52 titles a year and I am not too far away from my 20th year of writing entries. If I did the math correctly, that is over 1000 titles! 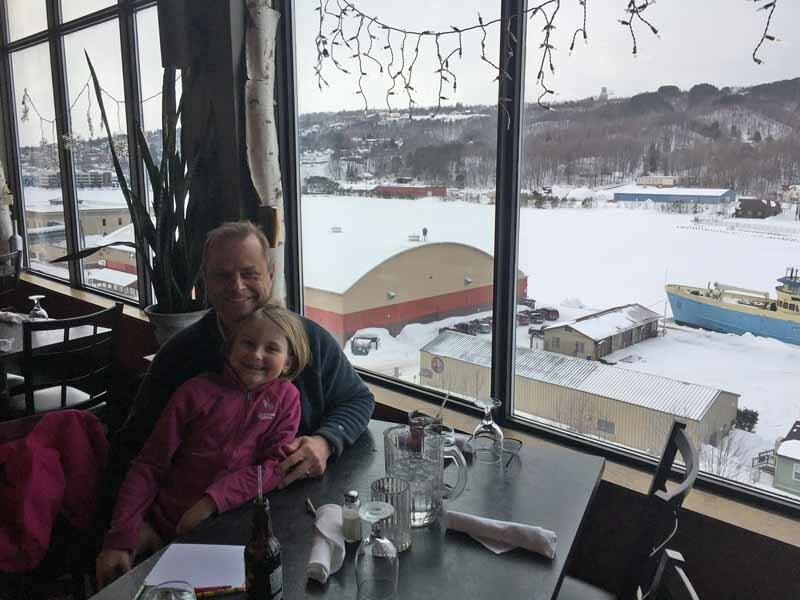 To tell you the honest truth, sometimes writing the journal is a real PITA and some times I cannot wait to sit down and share life in the Keweenaw. Most times it is something in between, or perhaps a bit of both! This particular entry became exciting for me to write just two days after finishing the last one on Monday. As I mentioned in the entry around 2 weeks ago, my brother and I traveled south to help my aunt move some things as well as bring back some things that have been in our family for years so that they may remain in the family for years to come. I mentioned one of them being a a wooden tool chest that my grandfather had built for himself. It was clearly hand crafted. Nothing super special in the construction details. I was only a year old when he passed, but from the stories handed down, it sounds like he was more of a form follow function type of person. It is clear in his design of the chest. Much of it was made from cabinet grade plywood, or what ever kind of high-grade plywood they had back then. The joints are pretty straight forward. No fancy dovetails on the drawers or rabbits/dadoes on the casework. This is not to say that it was just slapped together either. It has been around for at least 50 years, likely more. It has seen a lot of use in those years as well, but still is in as good of working condition as it was the day it was made. I wish I could say the same for all of my projects!…Heck, I wish I could say the same thing for ME! Anyway, it uses hardwood runners instead of manufactured drawer metal drawer slides. Each drawer is also custom fitted. Meaning its height and drawer runner setup is unique to each other. I am figuring that this was done so that each drawer would always be put back in its correct spot, no matter if all the drawers were taken out at a time (for moving as an example). It did make for a bit of a puzzle when we moved it at my aunts. We took all the drawers out and made somewhat of an attempt to keep them in order, but somehow the order got mixed up and when it came time to put the drawers back in, it was not a simple case of putting them “where ever”. On Wednesday, I had a bit of free time, so I went into the shop to do some futzing around and one of the things I did was to figure out which drawers went into which spot in the chest. It did not take too long to get things figured out, but I can attest to the fact that there is only one way all of those drawers will go into that chest and still work! After getting all the drawers in place, I looked around for a spot to put it. I was not necessarily looking for a permanent spot for it. Just one that would get it out of the main free-space working area in my shop. I spied a small space between the end of my workbench and a drafting table I have in there. So I wiggled the case through pathways between my machinery, fighting some casters who’s bearings have seen better days! I was able to get the case slid into it’s spot and then just casually swept my fingers across the top of it and over onto the top of my workbench. It was at that moment that something incredibly special happened. The movement of my fingers across the old case onto the new revealed that the two surfaces were at the exact same height. Not off by just a little bit. 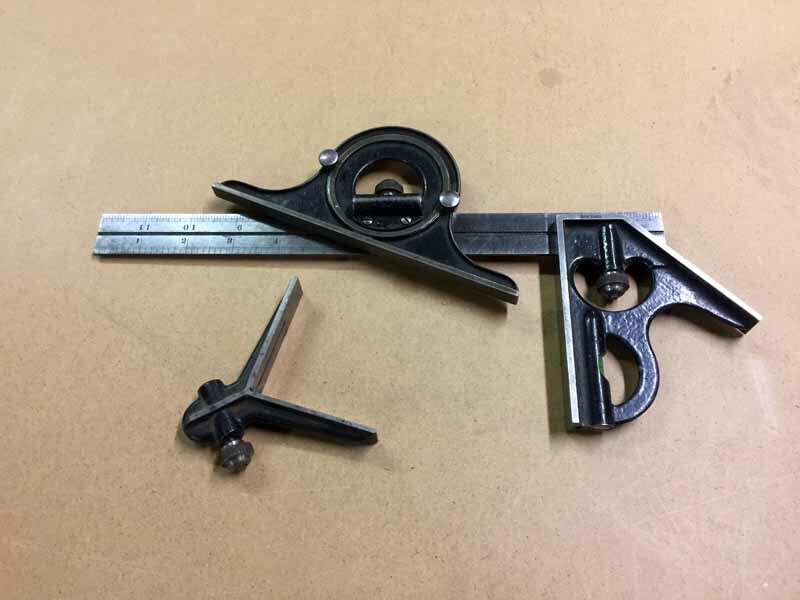 Perhaps not absolutely the same height if they were compared with some fancy measuring devise, but you would need a micrometer to get a true measurement. Now…I realize that many of you are probably saying something like: “big deal, both pieces were made to the standard height for work surfaces…36″”. Nope, not in this case. 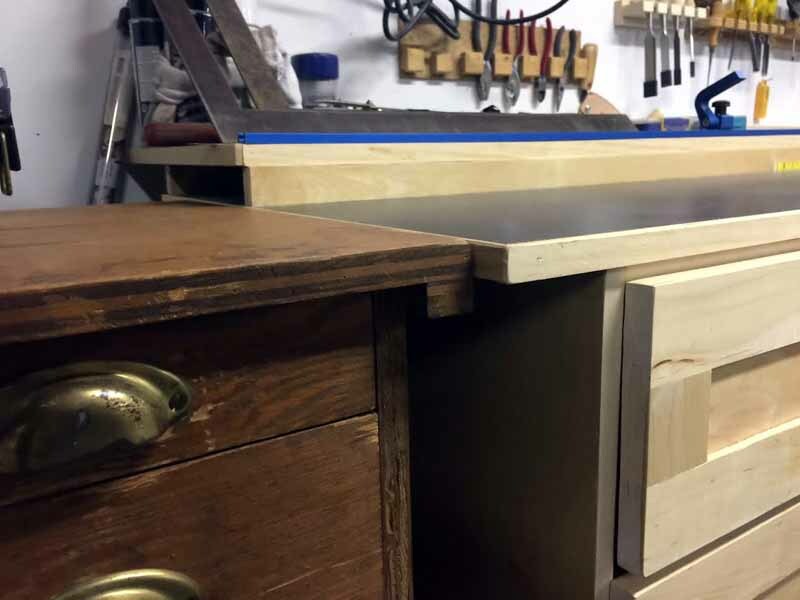 I built the cases for my workbench so that the worktop would be what I felt was best for me. For my height, length of legs and most comfortable position for working for long periods of time. I will admit that it was close to 36″, but I did not actually use a ruler in the measuring, rather I set up a makeshift jig where I could find that sweet spot-height for me. I suppose it could be total coincidence. That would be a fair and reasonable explanation. However, I just can’t bring myself to buy into that. Something deep down in my gut tells me that it was more than coincidence that both tops were within 1000’s of an inch of each other. One made by my grandfather over 50 years ago…before I was even born and the other built a few years back with a strong focus on function for me. Call me crazy, I really do not mind. Even though I have no memory of my grandfather, I was named after him and I also seem to have wander down some of the same paths he did while he was alive. He loved to build things. He also dreamed of living in the woods, away from the hustle and bustle of the city. In the past year or two there have been other events in my life that have opened up my eyes to similarities and even connections. I am not going to get into most of those other things, but just suffice to say, some have been hair raising, real deal, events. So the chest is staying put in it’s spot, as if I am somehow holding hands with my grandfather. While working on getting the drawers to fit, I was able to casually examine their content. Some have large and heavy tools in them, while others have the used containers for 35 mm film rolls sitting in them, filled with various nick-nacks. My uncle inherited the chest when my grandfather passed away and was an avid photographer, thus the usage of the small plastic film containers. I did not spend a lot of time going through things, that will come at another time when I have the time. However, I noticed that there was a mix of well made hand tools and some not so well made ones. Two of the nicer hand tools have already been removed from the crowded drawers and onto some free space on one of my work benches. The first is a very nice combination square. It is heavy and well made. I did not look for a manufactures name yet, but would not be surprised to find it was not even made in this country. Perhaps Germany or England. Not that the USA has and does not make some great tools. 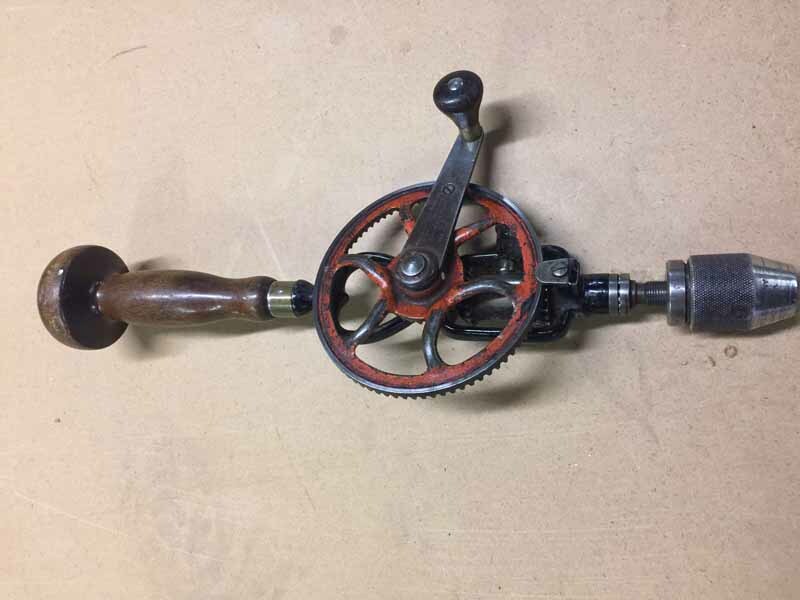 The second is a similarly well built hand drill. To me, one of the things about a well built tool is not just the materials used or craftsmanship, but how well it feels in your hand when you use it. The designer had to have paid close attention to this detail, it is just too hard to believe that this detail was met perfectly by luck. Each time I picked up these two tools, it was as if I could somehow feel many of the different uses they have been trough. Like talking to an old warrior and what they experienced while in battle. I do not know the price of these tools, nor am I really that interested. I know what the top end price for similar tools are and that number does not even come close to reaching their value to me as an heirloom. They are never leaving my shop…even to go outside for a quick project of mine! So that was my mystical experience for this week. I am not done writing by any means, so hopefully you are all still with me to read about what else happened up here! We had some more snows this week. No thaws and a bit of fresh snow. We missed the big storm that hit areas to our south and east, but did not miss out on the snow. In fact, on Thursday, we got into some lake effect as the storm was passing to our southeast. It did not snow too heavily early in the day, but by late morning/midday, the flakes got quite large and quite numerous and it started to pile up. 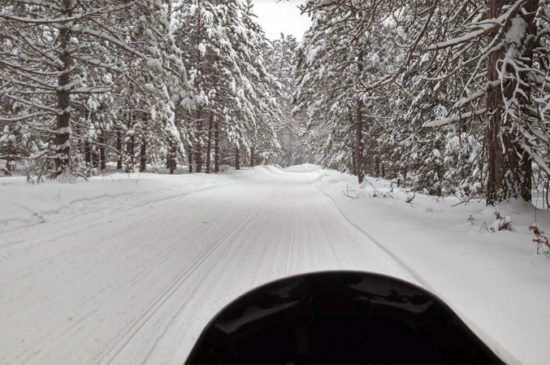 It kept up at a decent clip until late afternoon and all told, we picked up over 4″ of new snow. Even though I am growing more excited for all the fun activities that the warm season will bring to this area, I don’t think I will ever grow tired of seeing snowflakes fall from the sky. It is good medicine. 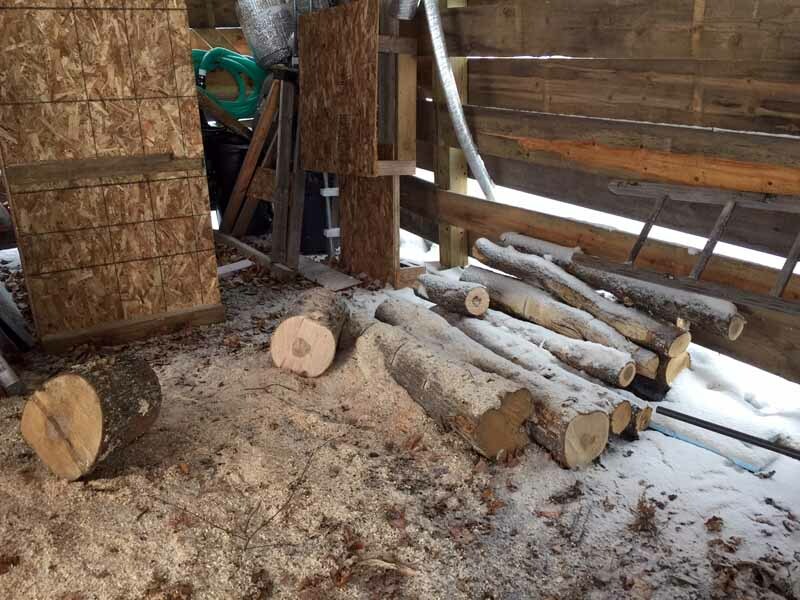 The wood supply continued to shrink and by the middle of the week, I was down to just a few logs left. Last weekend we had a wash-out occur on a section of trail down by Lake Linden. 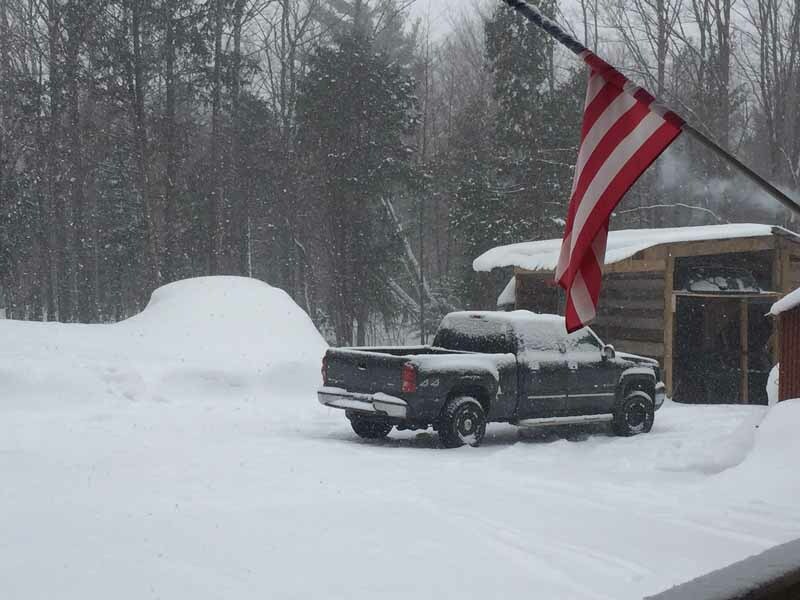 It is about a half mile in from any road, so rather than walk, ski or snowshoe in to examine it, I loaded the sled into the back of the truck and then used it to get from a loading/unloading area to the washout. On my travels, I passed by a local contractor that had a bunch of slabs for sale. Slabs are the outermost portion of the tree that is cut off as you square it up to make dimensional lumber. The bundles were pretty big and he was only asking $15 for each. So I gave a call on Thursday to see if he still had some for sale. He did, so I drove down and picked up a bundle to get me by for another week or so. I still have plenty of uncut logs for burning, but they are buried under 4 feet of snow at the moment. It will not be too hard to get them out to cut and toss into the boiler, but to do that I will need to take the blower off of Big Red and put the front loader arms on. It is not that big of a deal to make the transition from one to the other. The hydraulics on the tractor do all the heavy lifting, all I need to do is get the tractor and implements in position and insert some pins when it comes time. Even so, I just want to pull the blower off and be done with it for the season, so I have been trying to get to the point where we are not totally done with snow, but do have limited prospects for it. I have my doubts that the bundle of slabs I picked up this week will get me to that point, but I can always use the bucket on the loader to move snow if need be, so the switch over will likely take place this week. After getting all the slab wood unloaded and into the woodshed, I cleaned myself up a bit and headed over to the local grade school to pick up my dinner date. Sorry, that was so wrong, but I could not resist. It was Daddy-Daughter date night and I had told Gracie I was going to surprise her by taking her to a cool place that she had never been to. She tried her hardest to get it out of me, but I held strong. We parked in downtown Houghton, went into the hotel the restaurant is in and took the elevator to the top floor! Gracie loves elevators and loves going to the top floor we well! I was a little worried about hyping the place too much, but once she gazed out of the windows onto the sights below, I knew there was no disappointment. So our Daddy-Daughter date was a hit and do not feel sorry for Mom. She was busy getting a massage! 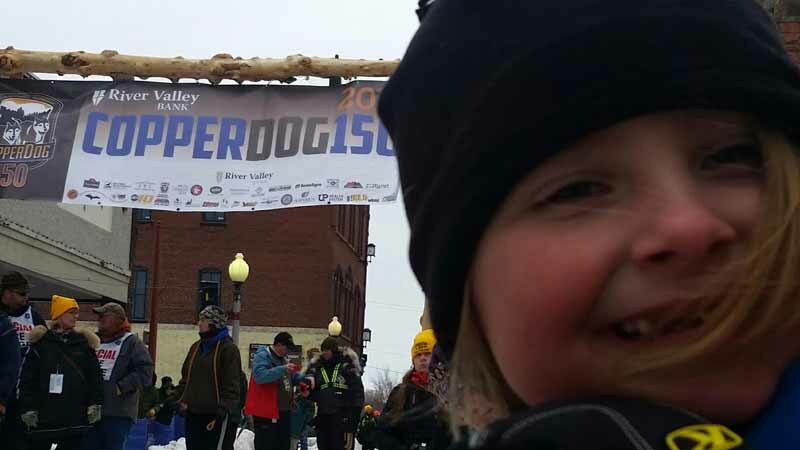 The CopperDog 150 sled dog race was going on this weekend. In the past, we have always opted to go downtown to Calumet to watch the start of the race and then the fireworks afterward. This year, Nora and I agreed that it would be nice to mix things up a bit and go to a quiet roadside crossing to see the teams come through. So on Friday, Nora did some checking and saw that there was not only a good crossing no too far from our place, but also that they still needed volunteers to man it, so she signed us up! I spent the afternoon collecting some scrap wood for a bonfire, as well as picking up a couple of thermos’s and some hot chocolate. 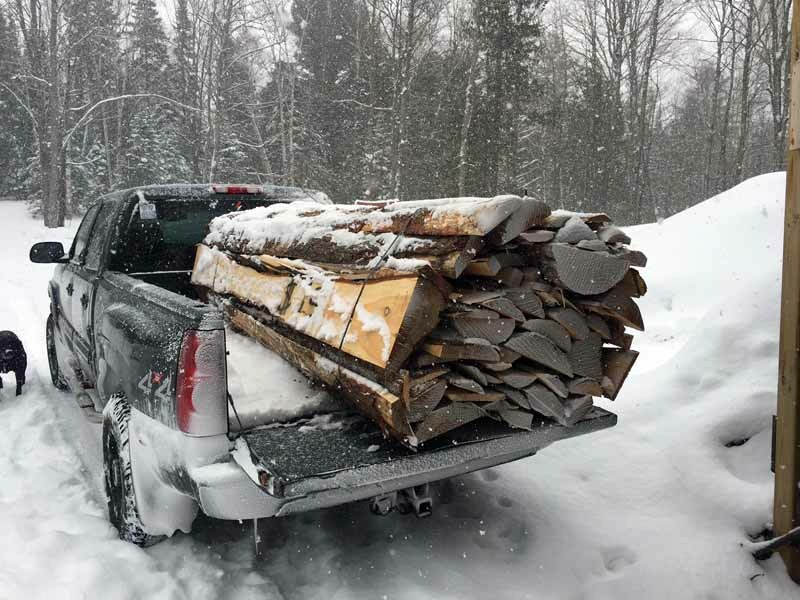 I hit the jackpot when I stopped by Northern Specialty Woods in Mohawk, as they had a 55 gallon drum of kiln-dried, hardwood cut offs that I could take. I also picked up a pair of firewood bundles at a local party store so that we would have some longer burning pieces of wood. 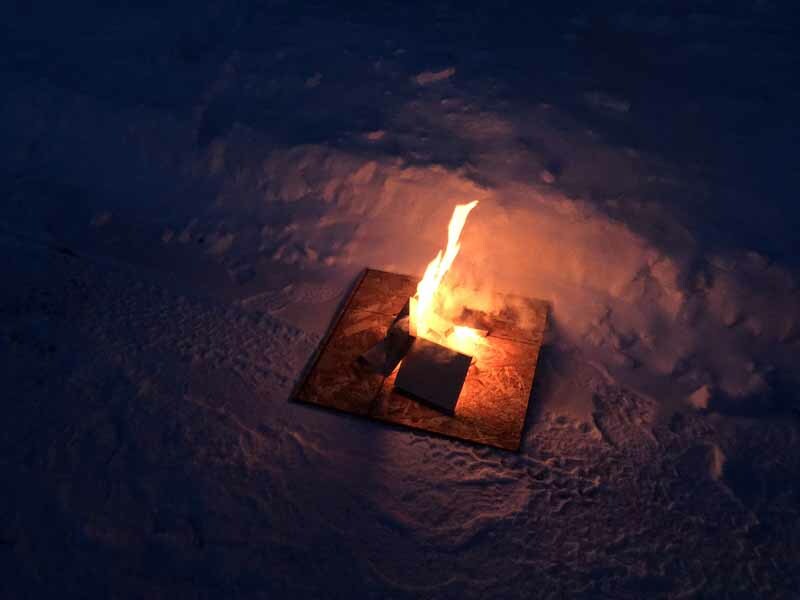 Friday’s high was only around 16 and temps were to drop quickly into the single digits once the sun set, so a fire was an almost must. We arrived at the crossing around the time the first team was heading out onto the course. That would give us around 45-50 minutes to get setup before that first team would be passing through. The sun was setting behind the pines and other than our voices, there was not a sound to be heard. Quiet the beautiful and peaceful spot to watch the teams come through. We did not waste too much time getting set up. 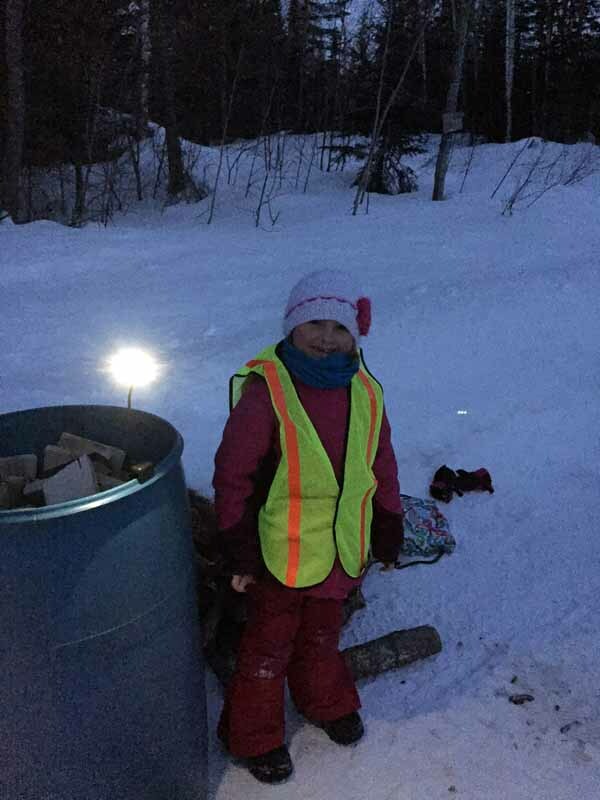 First was to put on the reflective safety vests. Even though there was a strong chance that the road we were on would not likely be seeing a single vehicle pass through while the race was going on, it’s safety first! I unloaded the barrel of scrap wood and Gracie wasted no time setting up her reading light for some extra light while we continued to get setup. 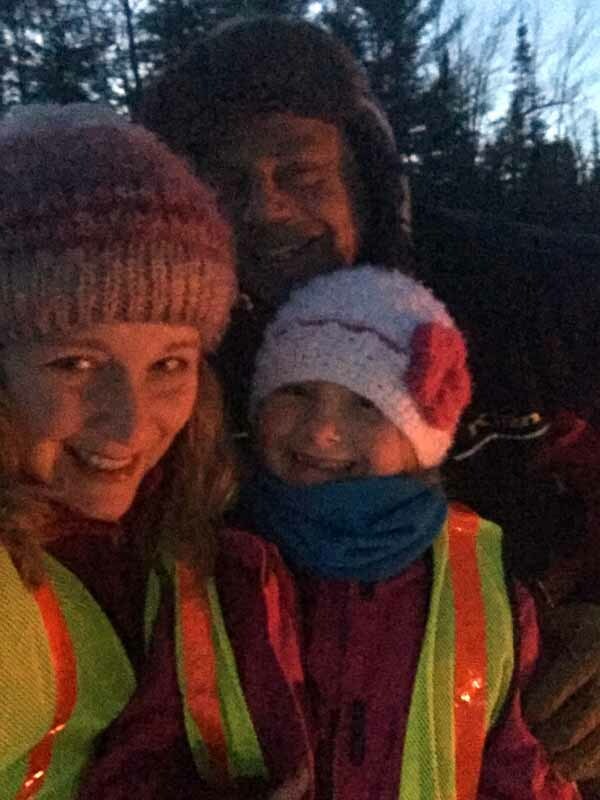 I got the fire going and then it was time for a quick fam-selfie! 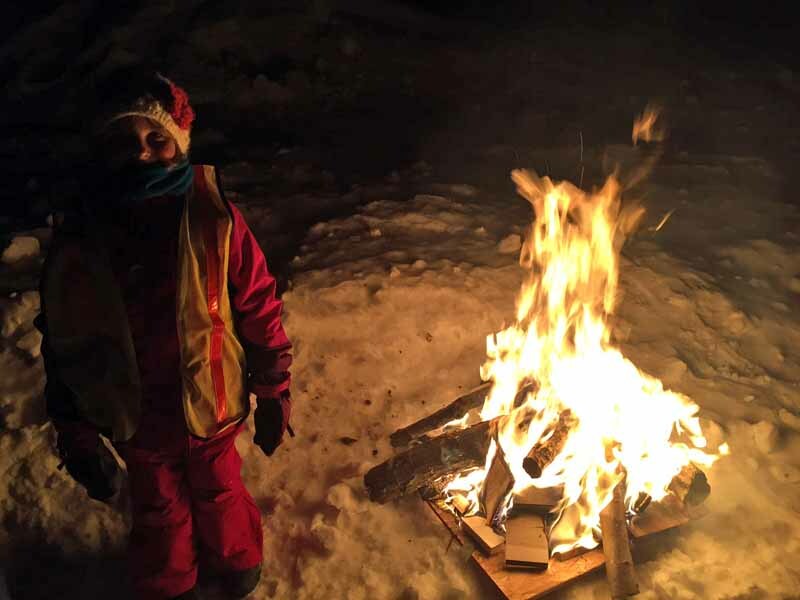 It did not take too long and the fire was going well enough to keep us all warm. Nora had put the word out to some of her friends that live near the crossing to let them know we would be there if they wanted to stop by and join us. So we watched the final rays of sunlight fade and the sky turn black. 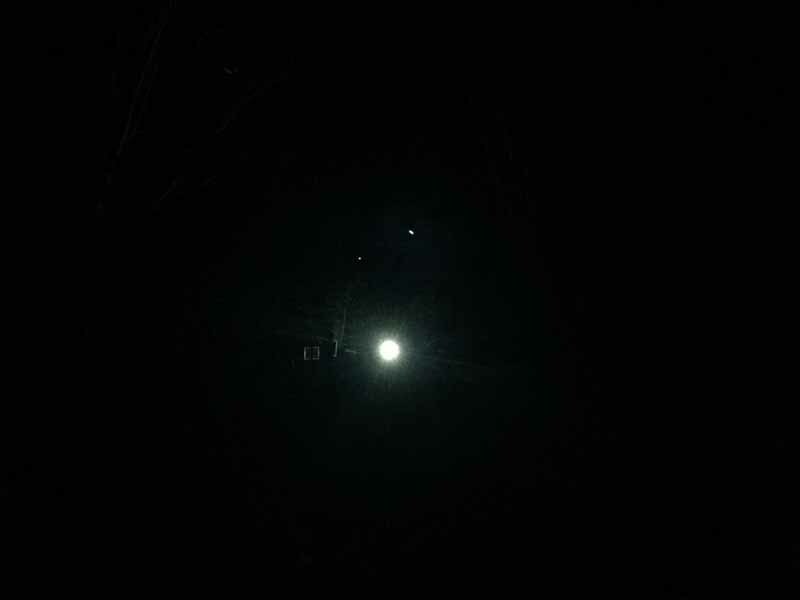 There were no clouds, so we had a magnificent view of the stars, but unfortunately the Northern Lights were on dim mode that night, so we were not blessed by their presence. The fire had probably been going around 20 minutes when the first car pulled up. It was not one of Nora’s friends, but rather a mother/daughter that lived near by. I knew the mother as she is good friends with a friend of mine. A couple minutes later another vehicle came and parked and a few more locals hopped out to watch the race. Soon we had a pretty decent group of folks, including one of the families that Nora had invited as well as my brother Jim. It was probably another 15 minutes or so and then the first team arrived! Unlike downtown Calumet where the dogs are all pumped up and barking, the announcer calling out the team members, the hand-picked music playing for each team to start the race to and all the persons hooting and hollering, the arrival of the teams at our crossing was mystical. 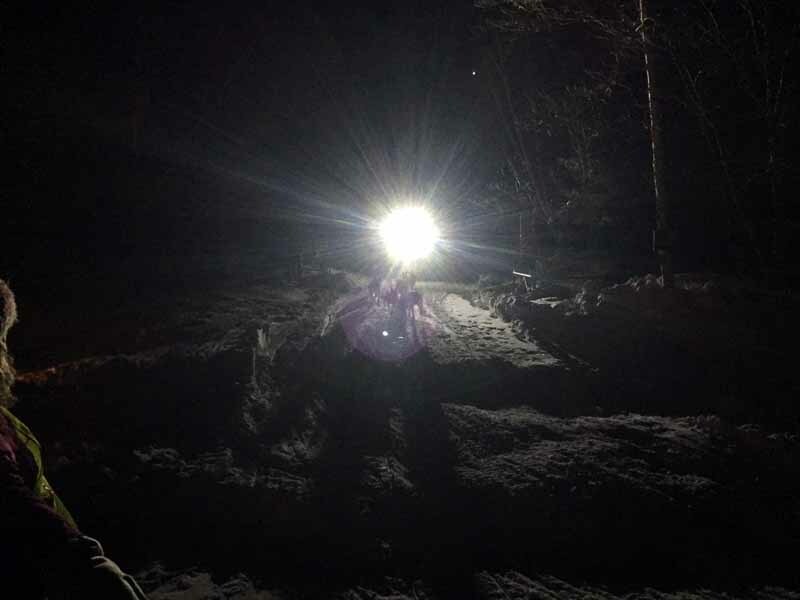 At first a faint and bouncing light would illuminate the pines, then as the team rounded the corner to make the 100 yard stretch to the road, the light from the mushers headlamp grew brighter, a bit after that, the mushers headlamp would shine brightly in our eyes. 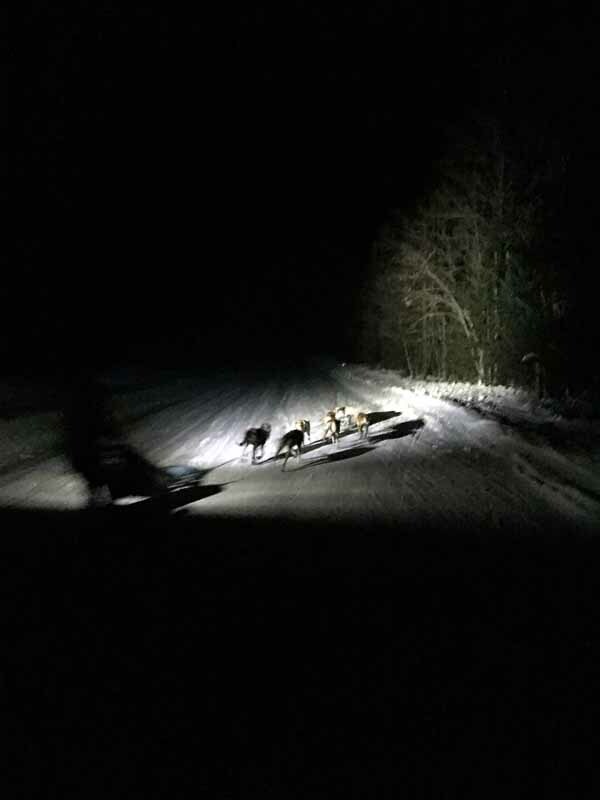 As the team got closer, you could first make out the flashing lights on the lead dogs and then the dogs themselves. 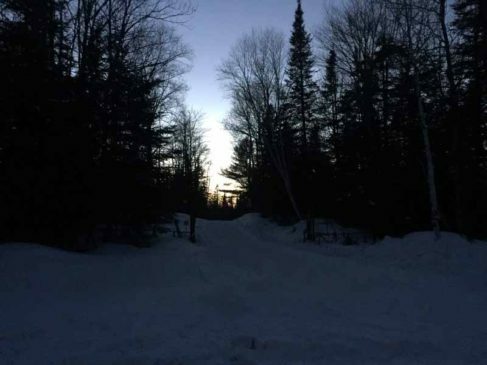 At our location, the teams would emerge from the woods on a logging road and then make a 90 degree turn to the left and run the side of a country road for a bit before jumping back into the woods further down. It is still pretty early in the race when they are doing this, so most teams are going pretty fast. I do not know the exact speed, but would guesstimate it to be around 15-18 mph. So the 90 degree turn was fun to watch the teams make. 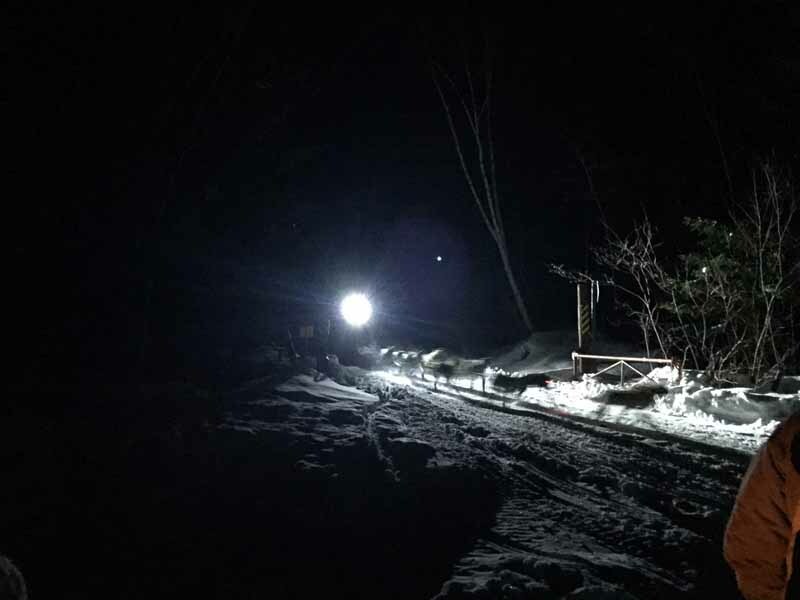 The dogs all handled it well, but for the mushers, it was a challenging opportunity to tip the sled on its left hand runner and do some drifting through the corner.  In a matter of seconds, the teams would be headed down the road, their lights slowly fading away just as the suns rays had done earlier in the evening. After their first night run from Calumet to Eagle Harbor (the long way) to spend the night. Day two has the teams taking the long way from Eagle Harbor to Copper Harbor and spending the night. The final day has the teams running from Copper Harbor to Calumet in about the most direct manner possible. They start to arrive in Calumet around 12:30 on Sunday and Gracie and her uncle Jim went down to watch them come in. So another week in the Keweenaw has come and gone. It is still very much like winter up here. We will be getting some rain tomorrow and tomorrow night. Right now it looks to be pretty light and not do a lot of damage to our current conditions. Then cooler air builds in on Tuesday and the precip will change over to snow. It looks like it could snow off and on lightly the rest of the week and weekend and we could get enough by late in the week to have freshened up things. A bit more snow is seen for early next week and beyond the above freezing temps of tomorrow and tomorrow night it looks like temps will remain below freezing. 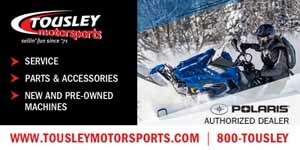 So we are not done with winter yet.